On Sale Today with Fast Same Day Shipping! 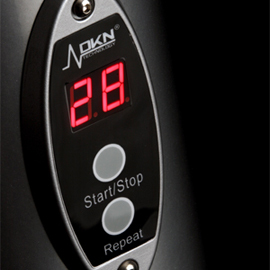 The DKN Xg10 Vibration Trainer Model features a new touch-sensor control panel, high acceleration motors and the three-dimensional base: an innovation in WBV targeting fitness, rehab and wellness for home, gyms, clubs and spas. 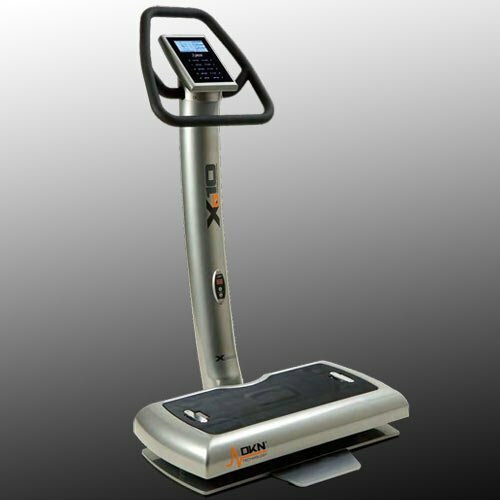 The DKN Xg10 Vibration Trainer Platform produces a vibration through which energy is transferred from the platform to the body. By standing on the Platform you will notice how your body automatically adjusts to the vibrations. This mechanical stimulus produces a stretch reflex which, depending on the selected frequency, results in muscles vigorously contracting 25 to 50 times per second. The DKN Xg10 Vibration Trainer will provide you not only with full body fitness and a strong impact on your health and wellness but also the added benefits of better skin, better posture and a better look. It is fast and efficient and has long lasting effects. The hormonal response and high production of HGH also leads to more rapid healing of fatigued or injured cells and allows faster recovery. The stress hormone, Cortisol, is also lowered significantly, resulting in you feeling good and relaxed after a session on the DKN platform. The DKN Xg10 Vibration Trainer is an innovative new model of the high intensity vibration exercise machines designed to help burn fat, build lean muscle, and improve overall health in just minutes a day. With its state of the art 12G acceleration motor, silent performance and variable frequency vibration, the Xg10 Pro delivers powerful results at the touch of your finger. 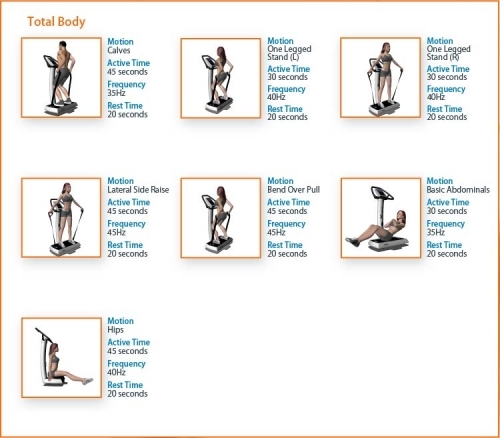 Whole body vibration provides unmatched fat burning efficiency, allowing the muscle tissues to contract and relax thousands of times per second. The repetitive tension delivered by the Xg10 Pro engages the entire body's musculature at once, helping to dramatically improve your strength, reflexes and endurance, while simultaneously increasing blood circulation, collagen production and a more healthy metabolism. Combining the benefits of an entire gymnasium's worth of workout equipment into a sleek and compact package ensures you get the results you want in a fraction of the time of more traditional exercise methods. 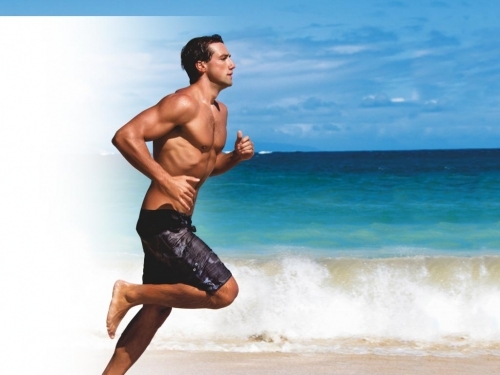 Professional-grade personal fitness can be yours at a highly affordable price. Don't wait to start your journey to a stronger and healthier body. 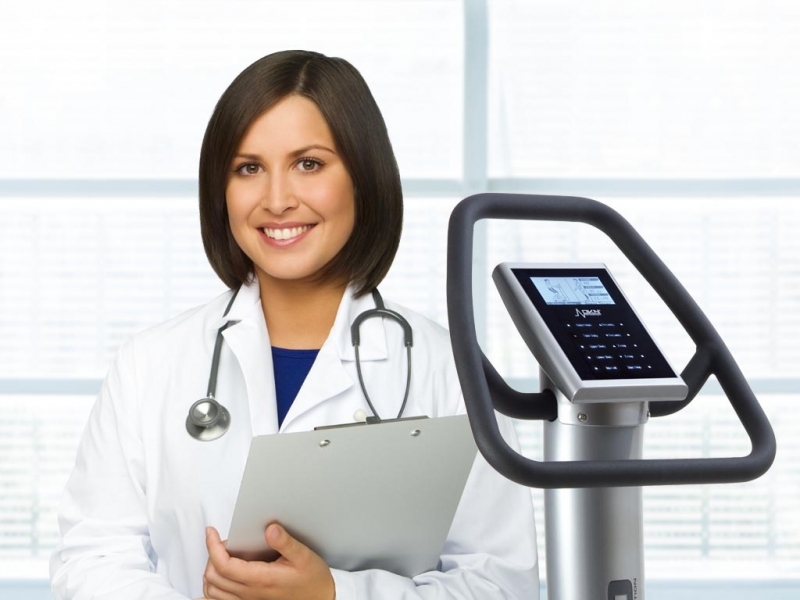 Call 1-800-875-9145 and talk with one of our friendly agents at FitnessZone with any questions you may have about the DKN Xg10 Vibration Trainer. 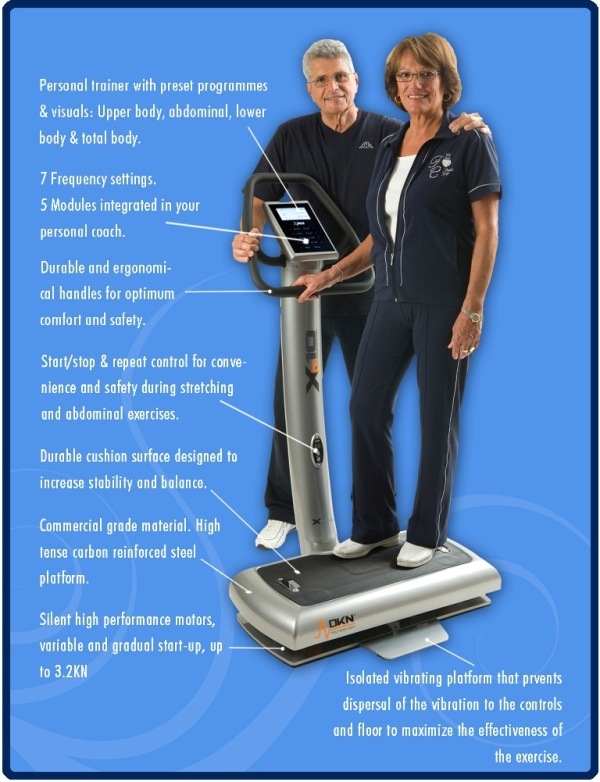 Order your DKN Xg10 Vibration Trainer from FitnessZone.com today and start moving to a healthier you! 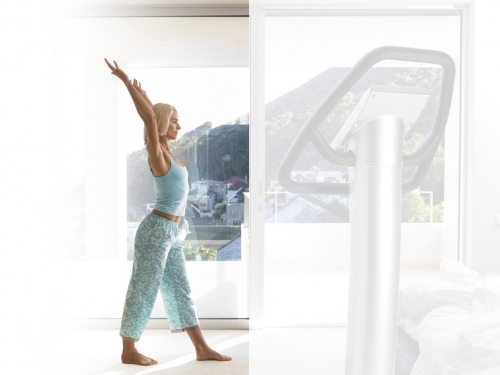 The Xg-10's intuitive console offers an integrated personal coach to lead your workouts. 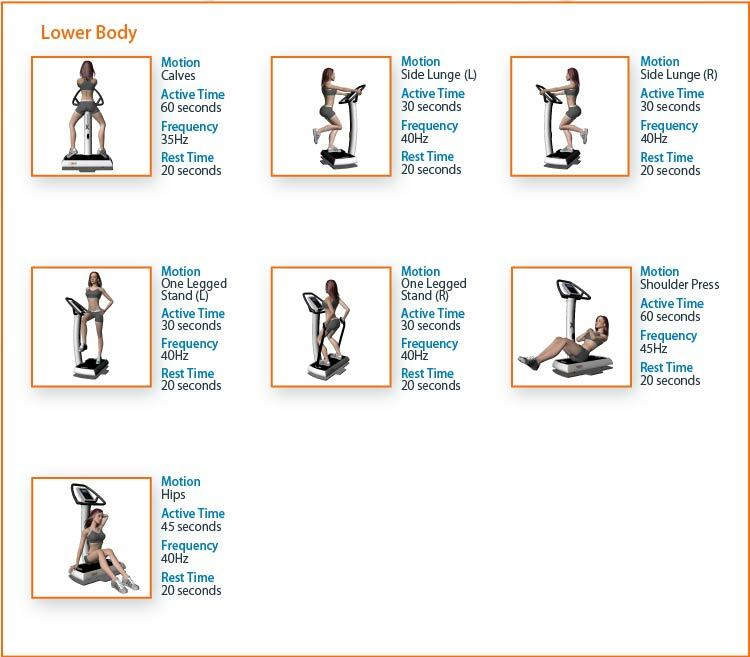 Personal trainer with 4 Preset Programs and Visuals: Upper Body, Adominal, Lower Body & Total Body. Stop/Start & Repeat controls for convenience and safety. Isolated vibrating that prevents dispersal of the vibrations to the controls and floor to maximize the effectiveness of the exercise. Design and ergonomics: designed for all features of an integrated WBV training. Technology: silent high performance motors, variable and gradual start-up vibration control, up to 3.2 KN. 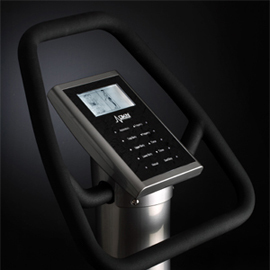 Order your DKN Xg10 Vibration Trainer from FitnessZone.com today!